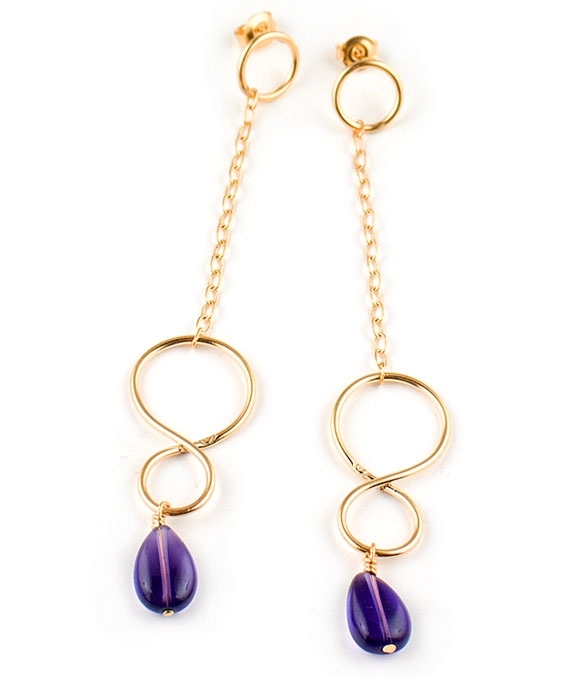 24k gold vermeil long earrings from the "Talisman" collection by Eloise Fiorentino. dangling amethyst semi-precious stone, suspended from a gold chain. all day and can also make a wonderful gift. Exclusively in the UK from the Farfallina.net Jewellery Boutique.